LOS ANGELES, CA (SEPTEMBER 15, 2017) – The Los Angeles County Economic Development Corporation (LAEDC) today announced the finalists for its 2017 Most Business-Friendly City in Los Angeles County Award. The cities of Compton, Downey, Inglewood, Lakewood and Long Beach are finalists for the population 68,000 and over category, and the cities of Arcadia, Azusa, Monrovia, Rosemead and Santa Fe Springs are finalists in the population under 68,000 category. One winner from each category will be announced live at the 22nd Annual Eddy Awards® on Thursday, November 9th, at the new Intercontinental Hotel at the Wilshire Grand in Downtown Los Angeles. Compton’s business friendliness and public engagement help companies succeed. The City’s business loan programs, online permit portal, and business roundtables that seek input for new initiatives are all examples of business-friendly practices. Monthly town hall meetings help residents, business owners, community and government work together. Many businesses utilize the City’s Careerlink, which provides businesses with free recruitment, interview and placement services to encourage local hiring. 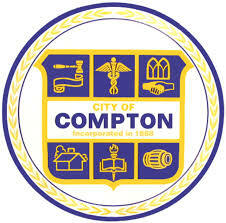 Compton is a friendly city that will work with employers and residents in harmony to increase prosperity. 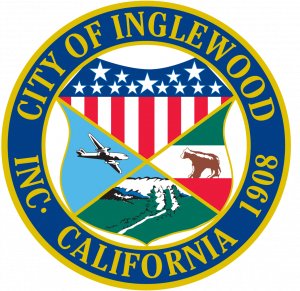 The City of Inglewood is increasingly known for attracting major real estate and entertainment investments, and welcomes new businesses with a customer service approach, due to the diligent efforts of City staff to be attentive, responsive and accessible for new and renewing businesses in the City. There is a one-day turnaround in business licensing, expedited permitting process, and the City’s planning efforts to attract new businesses. City staff also meets with business owners to go through the pre-submittal process to expedite plan check and permitting. Lakewood was built as the largest planned community in America in the 1950s. Attracting new business was the key to Lakewood’s original success and the city continues that priority today. 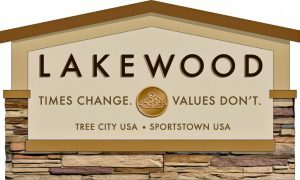 Lakewood offers expedited building plan checks and, for many projects, over-the-counter plan approvals, which allows for the prompt, professional turnaround of development requests. A business-friendly culture is strengthened by customer service training for all city employees, and sets a positive foundation for business workshops, site visits, and relationships. The “Shop Lakewood” publicity program and other services welcome new businesses and promote them to local residents. 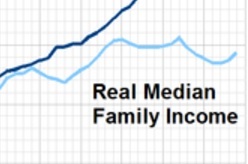 This is a reason why local and national businesses continue to choose Lakewood. Long Beach is a forward-thinking city that is committed to creating economic opportunities for workers, investors, and entrepreneurs. Economic development is a key citywide priority, which has resulted in a number of improvements and innovations to economic development programs and services, including; Pacific Gateway, helping businesses find qualified employees; the i-team which leads initiatives to make it easier to start and grow a business in the city, and; the Ombudsmen, which serves as a central point of contact to help businesses. 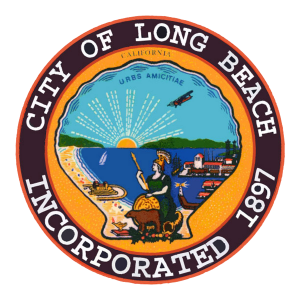 Long Beach partners with the public, private, and non-profit sectors to create a supportive, vibrant and resilient economy that will provide a higher quality of life for residents. A new Azusa is emerging. The City is revitalizing the community by offering new choices for living, working and exploring. The City understands that providing the highest quality of life is a means of achieving positive economic development benefits. Nestled at the foot of the San Gabriel Mountains National Monument and with access to a reliable source of water, affordable electric rates and a sustainable infrastructure featuring two light rail Foothill Gold Line Stations, Azusa is prepared to be the ideal destination for residents, businesses and explorers. Monrovia, a dynamic community blending small town charm with big city amenities, and home to nearly 40,000 active and engaged residents, is also a world class place to do business. In Monrovia, every business is valued as a partner in serving the people of Monrovia to create a community that offers a premiere quality of life. The city’s partnership with businesses starts at the onset of the businesses’ establishment and lasts long after the business has opened its doors. Monrovia invites you to experience all that it has to offer and be a part of its thriving community. Rosemead is a business-friendly city that welcomes the opportunity to work with new and existing businesses. Rosemead provides a one-day turnaround in business licensing, has a very low tax rate, provides expedited permitting processing, strategic planning, and has the ability to attract and retain a dynamic range of businesses. In addition, the Business Walk program ensures city staff visit businesses to listen to concerns and needs, and offer various resources to set a foundation for continued success. Santa Fe Springs is ready for business. The city is strategically located with access to major seaports, airports, and transportation corridors. Over 60% of the city is zoned for retail, office, and industrial uses. Santa Fe Springs has low property taxes and permit fees. The city’s friendly, accommodating staff takes a common sense approach to development and finds a pathway to “yes.” The city actively supports local businesses, social services, and the arts. The excellent location, thriving business community, and supportive government make Santa Fe Springs a business friendly city in LA County. At the 2016 Eddy Awards, the City of Pico Rivera and the City of City of Santa Clarita were recognized as the Most Business Friendly Cities. View a short video on best practices at City of Pico Rivera. In addition to the live announcement of the Most Business Friendly Cities in L.A. County, the Eddy Awards gala will also celebrate three individual, corporate and education honorees. Mark Suster is Managing Partner of Upfront Ventures, and LAEDC’s Individual Honoree for the 2017 Eddy Awards. A two-time entrepreneur turned venture capitalist, Mark’s extensive experience in leading investments that include MakeSpace, uBeam, mitu, Osmo, and Maker Studios (acquired by Disney in 2015) has significantly guided budding entrepreneurs through L.A.’s VC market. As Mark manages the largest and most active early-stage fund ever raised in the region, he has become a key player in L.A.’s tech scene by concentrating about half of those investments in the local area. While Mark oversees L.A.’s largest venture capital firm, he also wields impressive clout via his popular blog Both Sides of the Table and startup advice platform Snapstorms. As part of a small handful of VC bloggers, Mark consistently provides resources for entrepreneurs on raising angel funding, shares insights on the trials of startups, and drives awareness for organizations benefitting Angelinos. Mark is also very active philanthropically, including his work with LA Kitchen and via Upfront Ventures’ support for Defy Ventures which teaches entrepreneurship to incarcerated men and women. Marks’ positive impact on LA’s social and economic fabric represent leadership and excellence on many levels. Cedars-Sinai, the Corporate Honoree for the 2017 Eddy Awards, is widely renowned for the quality of its patient care, research, education and community service, and for its role in meeting the changing healthcare needs of one of the most diverse regions in the nation. Cal State LA is also a trailblazer in its efforts to collaborate with local industry. The university has partnered with life-science business Grifols Biologicals Inc. to develop a summer science academy to introduce high school students to careers in the STEM fields. CSULA represents the best of LA County’s educational institutions.